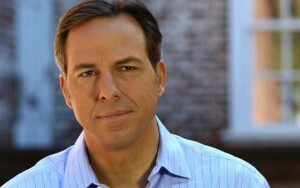 Following yesterday’s attempt by the USA Today to involve anchor Jake Tapper in a George Stephanopoulos-level scandal, one may expect him to keep his head down and try to avoid attracting any attention. Not Tapper – but then again, what he was scheduled to be doing at the Clinton Foundation (interviewing former president Bill Clinton) was hardly scandalous, so who can blame him? He will be emceeing the hardly-controversial No Kid Hungry dinner on June 2. @nokidhungry @jaketapper @mmccurry I guess this now means you can't cover any Presidential candidates that want kids to go hungry. He’s definitely taking all of this in stride.